Or so says a web news article1 titled “It’s okay. Nothing really matters. We don’t actually exist, anyway. Or so the Higgs Boson particle suggests.” Well, what’s this all about? 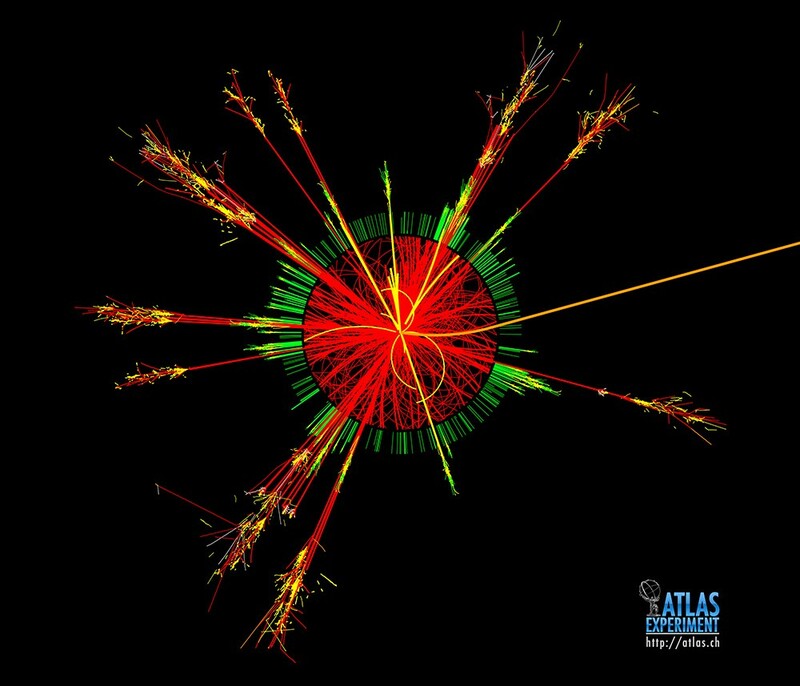 Figure 1: CERN ATLAS detector output used to detect the Higgs boson, the so-called ‘God’ particle. Cosmology PhD student Robert Hogan, of King’s College London, told a meeting of the Royal Astronomical Society2 at the University of Portsmouth on June 24th, that what has been learnt about the Higgs Boson and the idea of cosmic inflation (that supposedly propelled the early universe into an enormous volume increase3 over a very short time, a quintillionth of a quintillionth of a second after the alleged big bang) does not add up. The Higgs Boson, the so-called ‘God’ particle,4 is supposed to give mass to all elementary particles, according to the standard model of particle physics. By combining what we know of the Higgs Boson and the standard model of particle physics with the idea of cosmic inflation as supposedly determined from the recent research of the BICEP2 Collaboration team, Hogan has come to the conclusion that the universe, as we know it, should not exist. The BICEP2 Collaboration, which used a South-Pole-based telescope to look at the CMB radiation in a very small region of the sky, concluded that the B-mode polarization they observed in the CMB photons was indicative of primordial gravitational waves soon after the big bang. It was claimed as both a ‘direct’ and a ‘smoking gun’ detection of the big bang. By comparing the microscopic with the macroscopic it seems something does not add up. The energy in the universe due to the ‘inflaton-field’ (see shortly) is more than sufficient to force the Higgs-field into a regime whereby the rapidly expanding universe would have suddenly and rapidly collapsed back into the singularity.5 In other words, the universe never was stable and vanished before it ever got going. But of course we are here discussing this so someone got it wrong. The irony is that now that this problem has been realised, those with the worldview that ‘the big bang must be correct’, are now discussing new physics that allows the universe to exist, even though the standard model of particle physics says it should not. This may be illustrated with the following graph. Figure 2: Large-field and small-field inflation models. Credit: Ref. 6. Theorists have proposed various models of inflation.6 The cosmic inflation was supposedly driven by what is called an inflaton field, which is an as-yet-unidentified field, akin to an unstable electric field. This is an unknown proposed to explain what powered cosmic inflation. It is nothing short of new physics. And they would very much like the inflaton to be identified with the Higgs boson. Large-field inflation models, as the name implies, result in large changes but theorists favour small-field inflation models. These are inherently more stable and this keeps weird quantum effects under control. These models were tested against the recent data of the BICEP2 Collaboration. The large-field inflation model is now currently favoured by those results, not small-field inflation. But theorists don’t like this because to make inflation persist long enough to stretch the universe as flat7 as it is, the amplitude of the inflaton field must have changed immensely. And the Higgs boson models produce small-field inflation. Therefore they are disfavoured by the new BICEP2 data. The small-field models predict much weaker swirls than BICEP saw. So those models are now dead. 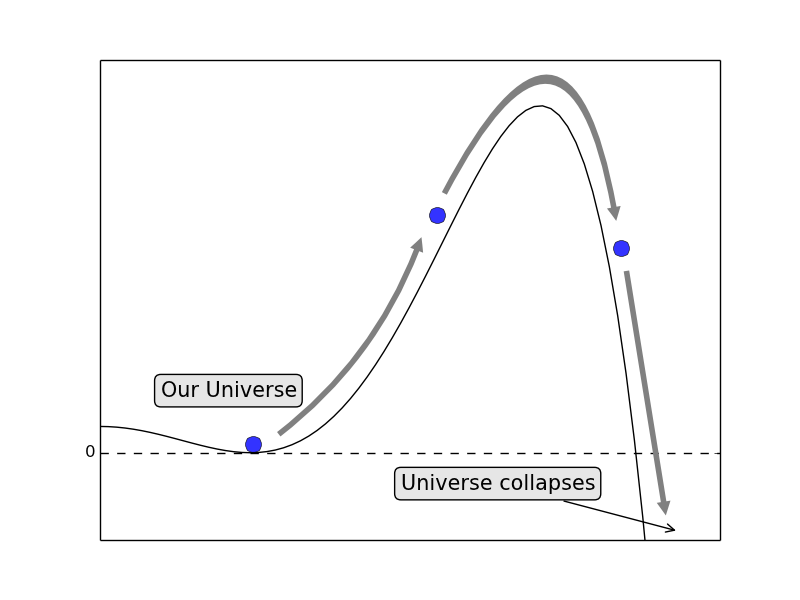 Figure 3: Our universe lies in a ‘valley’, which sets the behaviour of the Higgs boson. A deeper valley also exists, but our universe is prevented from entering it by a large ‘hill’. During the early period of cosmic inflation, the BICEP2 results imply that the universe would have received a ‘kick’ into the other valley, causing it to collapse in less than a second. Credit: Robert Hogan, Kings College London. Ref 8. But Hogan’s approach to the Higgs boson means that the universe should be ‘sitting’ in a valley of the ‘Higgs field,’ which tells us why all particles have mass. See Fig. 3. But, according to him, there is a different valley, which is much deeper, and the universe is prevented from falling into it by a large energy barrier. At least that much should be self-evident! That means theorists is backed into a corner. The Higgs boson is at odds with the allowable inflaton-field models from the BICEP2 data and they are forced to accept an inherently unstable universe model. They are left with the need for more unknown new physics to plug up the hole. We see experimental science again at odds with so-called big bang cosmogony, particularly the inflationary start to their universe. The latter is historical science as it tries to reconstruct history, but the contradiction introduced by the Higgs boson means that they have to find new physics from the dark side (again9) to save the standard big bang model. In short, if the BICEP2 data were ‘confirmed’, he would favour the unverifiable inflation interpretation over the experimentally sound theory of particle physics. This clearly illustrates the effect of a worldview. Then there are those who have reacted to these problems by making any connection with particle physics irrelevant—by invoking the multiverse as an explanation for the failure of String theory to predict any meaningful model.11 The multiverse is an all-purpose excuse for not being able to explain anything about particle physics. They argue that particle physics is random and inexplicable, different at different points of the multiverse. Different ‘universes’ in the multiverse must have different laws of physics, which does not leave you with much confidence that anything you test in the lab has any relevance to the origin of the universe. Wow, talk about faith! That is some faith! The concept of inflation was motivated, not by the science, but by a philosophical argument to explain the universe we live in without a Creator, an Intelligent Designer. Evidence in support of inflation was unlikely but necessary, else they would be left in an intolerable position. So what caused the big bang? If there is no Creator then there is no First Cause. Some theorists have hypothetically constructed a cause before the Big Bang using mathematical arguments with some new exotic theories. For example, some suggest colliding higher-dimensional membranes. But that involves untestable String theory, higher dimensional brane-worlds, M-theory and other weird stuff, where membranes representing some higher dimension spaces supposedly collided producing the big bang of this universe, and maybe many others. I would not be surprised if after reading this, you feel like you are ‘still in the dark.’ The Higgs boson and the standard theory of particle physics, which is the most successful physical theory ever developed by man, is at odds with the theory of cosmic inflation. That tension is such that the universe, as we know it, should not exist. But it does! Therefore the science of how the universe started in a big bang is all in the dark. This is, again, a case of where cosmic inflation must be given essential help to survive—some suggesting new physics is needed to solve this quandary (the mess with the Higgs boson). The big bang paradigm is believed as fact, so one more new unknown must be invented that allows the universe to exist. It’s okay. Nothing really matters. We don’t actually exist, anyway. Or so the Higgs Boson particle suggests, 27 June 2014;news.com.au. Should the Higgs boson have caused our Universe to collapse?, 20 June 2014, http://www.ras.org.uk. By a factor of 1078 in a period 10-32 s starting about 10-36 s after the big bang. See Has the ‘smoking gun’ of the ‘big bang’ been found? De Repentigny, M.B., Looking for the God Particle at the Large Hadron Collider, J. of Creation 22(3):77-83, 2008. The assumption is that the universe arose out of a singularity by a quantum fluctuation of some false vacuum field. The latter is another unknown, which will be discussed elsewhere. Flat means the geometry of the universe is Euclidean. String theory is based on the idea that tiny vibrating strings are the fundamental units of all particles in the universe. The universe is 10 or 11 dimensional or even more if you include super-symmetry (SUSY). The problem is that there are something like 10500 different possible models of reality and so String theory is essentially untestable. Sheldon, R., Bang for the Buck: What the BICEP2 Consortium’s Discovery Means, 19 March 2014; evolutionnews.org. Hey, not so fast with the Nobel Prize! Does the claimed dark matter ‘find’ end the ‘big bang’ crisis? Does the Bible really describe expansion of the universe? Has the ‘God particle’ been found?